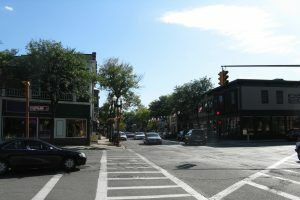 Melrose, Massachusetts is small city sitting just 7 miles from the heart of Boston. Originally settled in 1629, it became a town in 1850, and is currently a vibrant community providing an easy commute to Boston. Though its population is eclipsed by that of Boston’s, being a suburban municipality means it does have its share of car accidents along with the injuries that accompany them. If you or a loved one living or working in the Melrose area suffered injuries in a car accident, or were involved in a Melrose car accident, contact injury law firm Burns & Jain to discuss your accident claim and potential compensation. Even if your accident did not involve another vehicle but you suspect some other factor may have contributed to it, give our office a call to discuss. A substantial number of accidents occur at intersections, especially involving motorcycle, bicyclists and pedestrians because of their relatively small size when compared to other passenger vehicles. Motorists in Melrose often do not notice bicyclists in a bike lane or a motorcycle approaching an intersection, or may misjudge its distance and speed and turn directly into it. Going through a red light or stop sign by a driver is not uncommon either through inattention or by trying to beat the light. Also, over 30,000 fatalities occur each year from car accidents, which are the leading cause of death for those age 12 to 19. Experience counts when collecting the compensation you deserve if injured in a Melrose car accident. Most lawyers can get you some compensation for an injury where there is obvious liability, but it takes a resourceful, knowledgeable and dedicated attorney to investigate the facts of an accident where liability is disputed or where there may be multiple causes or responsible parties. Contacting witnesses, dealing with insurance issues, hiring accident reconstruction experts, and proving damages are vital if you are to collect reasonable compensation for an injury that may be permanent or require years of medical attention. Most car accident claims settle before having to file in court or prior to trial but the road to a final settlement agreement can be a difficult one unless you have an experienced attorney with extensive litigation and trial experience who can get you there. Call the Law Offices Burns & Jain today regarding your car accident claim for a free analysis of your injury accident.